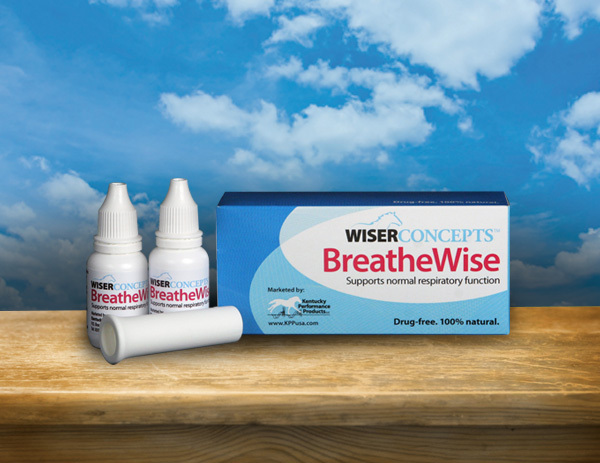 BreatheWise™ is a new product marketed and distributed by Kentucky Performance Products, LLC. 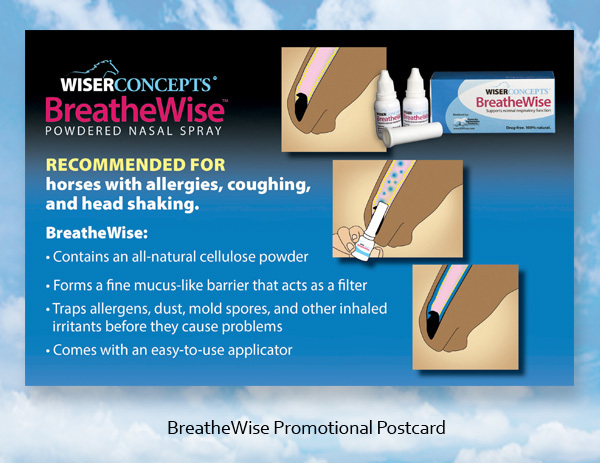 It works by trapping allergens, dust, mold spores and other inhaled irritants in a horse’s nostrils before they cause problems. The package design by the Arion Group was created in different colors of blue to represent fresh and clean air. The blue and deep magenta color scheme is also popular with medical products and communicates a high-tech feel. 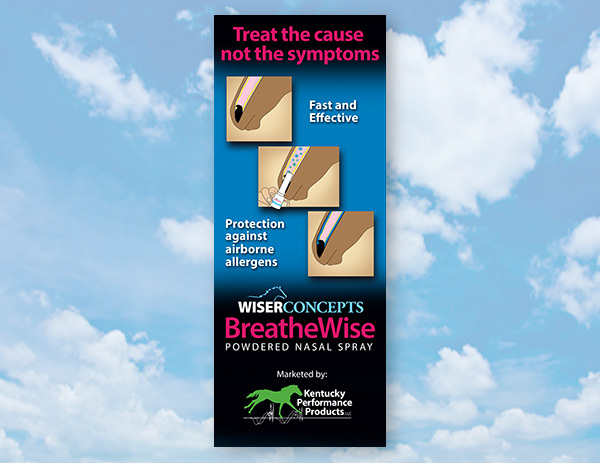 BreatheWise was introduced to veterinarians through a direct mail postcard and at trade shows using a banner, as shown in the slide show below. For help with your next package design, contact the Arion Group today.